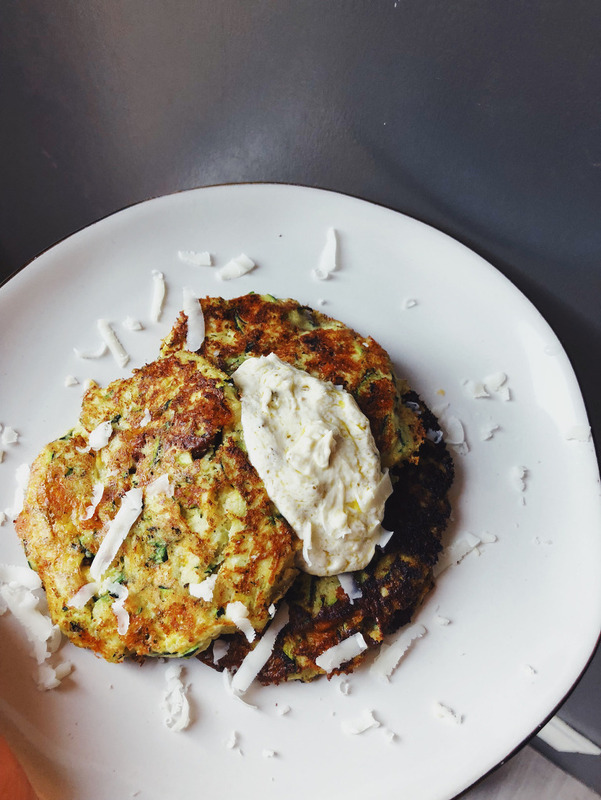 These might be one of my most popular recipes and I came up with it a few months ago when we had an excessive amount of zucchini from Zola’s garden. I just started throwing stuff in a bowl and suddenly one of our favorite dinners came to life. You can adjust the ingredients to make them more fritter like or pancake like…these proportions make them like a pancake. And if you can’t have dairy, you can leave the mozarella out all together and add an extra egg. Mix all ingredients in a bowl. I don’t squeeze the moisture from my zucchini. The mix should be similar to a pancake batter. If it’s too runny, they’ll fall apart, so in that case, add some more almond flour. Every time I make these the consistency of the batter is slightly different depending on how juicy my zucchini’s are ;). Spoon batter onto a pan (I use the Chosen Foods avocado oil spray), and cook till the bottom become golden, flip, and cook all the way through. We top them with @siggisdairy plain yogurt mixed with pesto or some honey goat cheese. 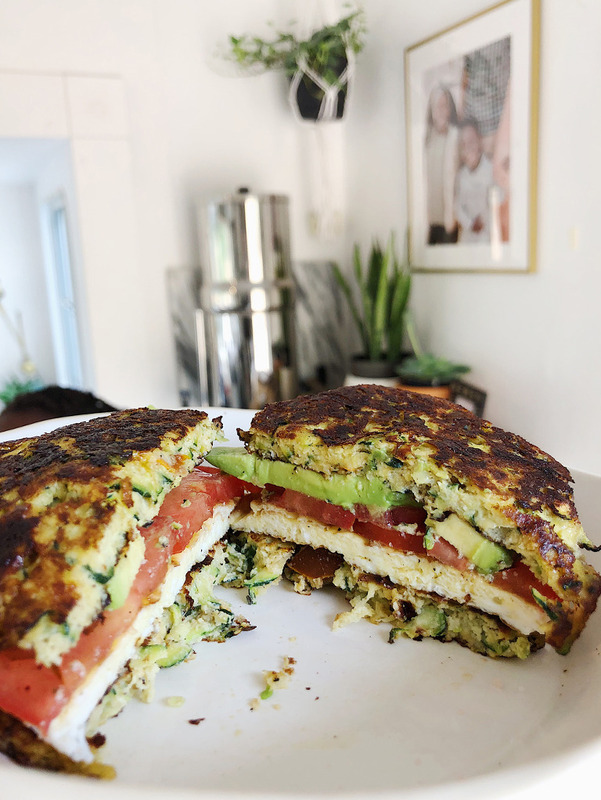 Use the leftovers for a breakfast sandwich (they toast in the toaster really well), or cook the fritters thin and use it as a “taco” shell or pizza crust.